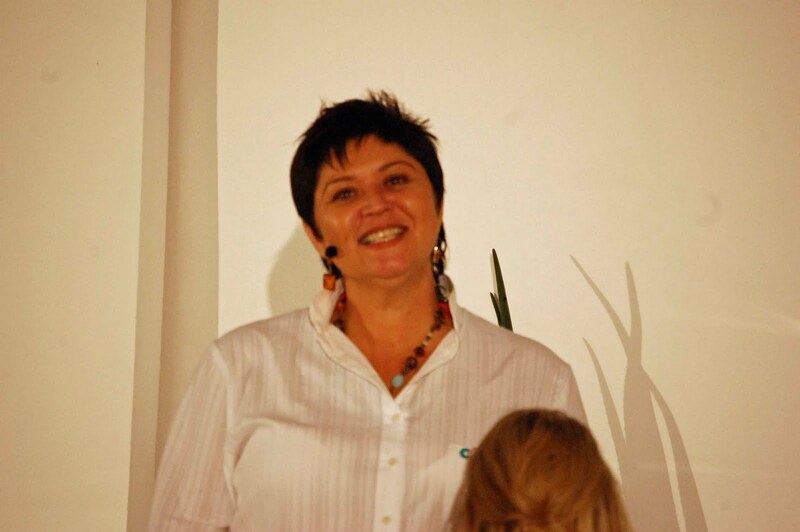 • Approximately three weeks later Corobrik furnished us with a so-called “Prospecting Work Programme”. I considered the whole matter to be so absurd that I did not give much attention to it by raisings objections or taking any other steps, which, in hindsight, was obviously a huge mistake. At that stage I very naively reasoned that rezoning would never be successful because of the resistance that I, farmers from neighbouring farms, the Department of Agriculture and the Municipality of Stellenbosch would offer in the “unlikely event” that the matter was taken further. • I received a letter, dated 12 August 2009, from the Department of Minerals and Energy by registered mail, in which they informed Corobrik that prospecting rights for clay on Bellevue had been awarded to them. Corobrik was cautioned in that letter to adhere to and comply with the EMP (environmental management plan). This document’s reference number is (WC)30/5/1/1/2/355PR and enquiries are directed to D S Kunene, who signed the letter as “Acting Regional Manager Western Cape Region”. I have obtained his e-mail address in the meantime, namely duduzile.kunene@mineralresources.gov.za. 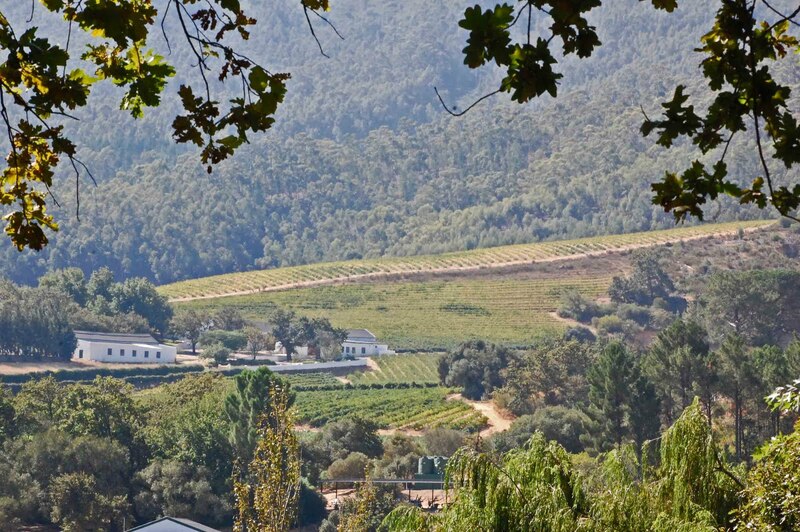 Winelands Action Group confirms withdrawal of prospecting rights applications – a victory for social justice. Following weeks of overwhelming pressure from producer groups such as the various Farmworker Forums, the Cape Winemakers Guild (CWG), Wines of South Africa (WOSA), Stellenbosch and Durbanville Wine Routes, conservation groups such as the World Wide Fund for Nature (WWF) and WWF’s Biodiversity and Wine Initiative (BWI), the Bottelary Conservancy, the Greater Cape Town Civic Alliance, influential international wine writers, heritage groups from all over the country as well as the public at large in South Africa and around the world, the Department of Mineral Resources today confirmed in writing that state-owned African Exploration Mining and Finance Company (AEMFC) had officially withdrawn their Cape Town and Stellenbosch prospecting rights applications in the Western Cape. Hailing the news as “a victory for social justice and democratic rights” the Winelands Action Group had been cautiously optimistic on hearing reports a week and a half ago that the Director General of the Department of Mineral Resources, Adv Sandile Nogxina had announced that the applications would be withdrawn, but then had to continue with legal and public protest action when subsequent communication with AEMFC staff as well as their consultants GCS revealed that despite the assurances given in a press release issued on behalf of the Chairman of AEMFC, the state company and their consultants were still going ahead with the application process. Staff of the Regional DME office in Cape Town also confirmed that the applications were going ahead and that ‘the statement issued was incorrect’. An untenable situation developed where either the employees and consultants of AEMFC had deliberately gone against the chairman’s public statements, or else there had been a deliberate attempt by AEMFC to distract both the media and the public at large by informing them of the application withdrawal, but then still continuing with the process hoping there would be no comments received by the objectors to the plans. The Cape Town and Stellenbosch communities were outraged at the about-turn by state mining company African Exploration Mining and Finance Company (AEMFC) regarding the withdrawal of prospecting rights in the Cape winelands and vowed to fight on, uniting to form the ‘Winelands Action Group’ and aligning themselves with WWF, The Endangered Wildlife Trust, the Wildlife and Environment Society of South Africa (WESSA), the Verlorenvlei Coalition and the Mapungubwe Action Group amongst many others, calling on all affected parties country-wide to join forces to oppose the indiscriminate issuing of prospecting and mining licenses in economically, ecologically and environmentally sensitive areas of South Africa. 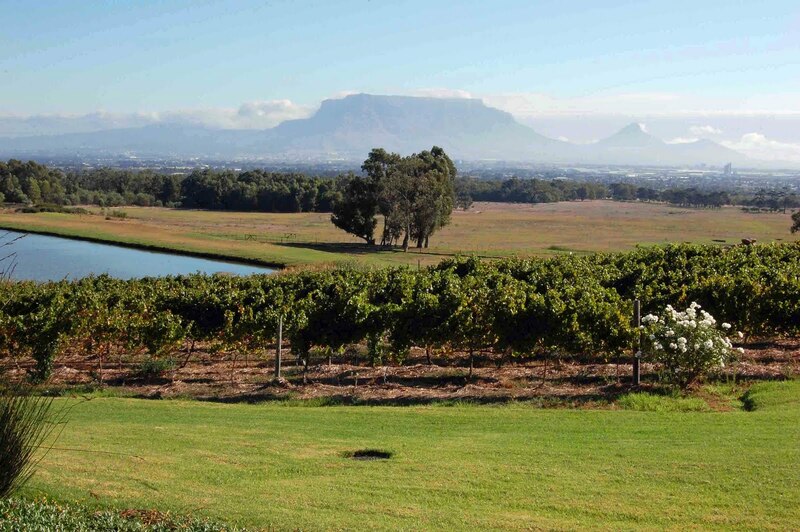 The prospecting rights applications in the Cape winelands have highlighted the fact that applications need to be tackled at a national policy level, rather than remaining individually case-specific. The Winelands Action Group therefore calls on all the NGO’s and interested local and international groups affected by the indiscriminate issuing of prospecting and mining rights to join together in calling for a National Forum on South African Mining Policy where policy is discussed at a constitutional level and involving the highest courts if necessary. State-owned and funded by the Central Energy Fund, AEMFC had applied for prospecting rights for tin, zinc, lead, lithium, copper, manganese and silver on the farms Annex Langverwacht 245 (which included Saxenburg, Jordan, Langverwacht and Zevenwacht Estates), Haasendal 222 and the remaining extent of Rosendal 249. 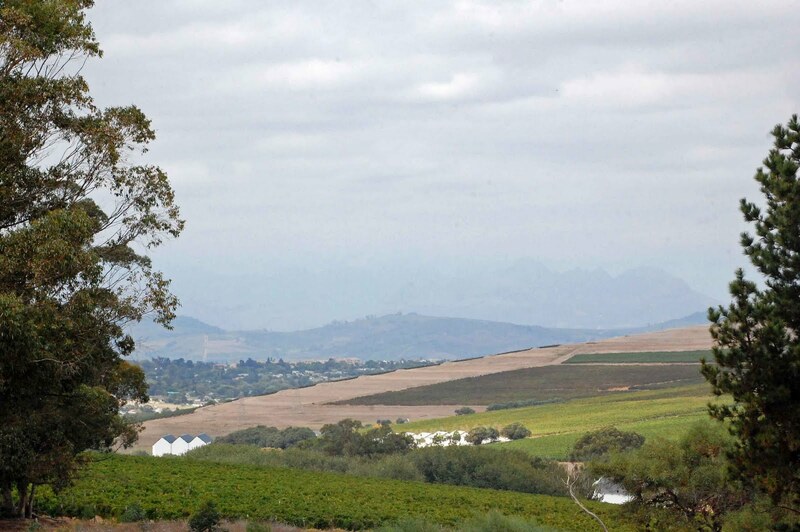 Another application included prospecting rights over Highlands, Hooggelegen and David Graaf’s farm De Grendel in the Tygerberg/Durbanville area. The Department of Mineral Resources had provisionally accepted these prospecting rights. AEMFC has been exempted by the Minister of Minerals and Energy from many provisions of the Mineral and Petroleum Resources Development Act with regard to prospecting rights, mining rights and mining permits. According to the Chamber of Mines these provisions normally require applicants to submit environmental management programmes and to consult with interested and affected parties. 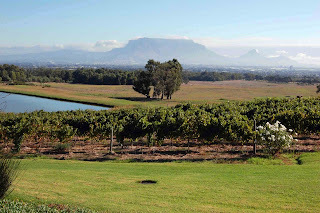 National pride was at stake in the Cape Winelands. With the world’s attention focused on South Africa in the run-up to the 2010 FIFA World Cup, and with 2010 having been declared the International year of Biodiversity, this year also sees the launch of a brand new certification seal for the wine industry, under the banner ‘Sustainable Wines SA’ (a world first), the prospecting right applications by AEMFC threatened not only the pristine winelands but the very existence of the UNESCO-registered Bottelary Conservancy as well. 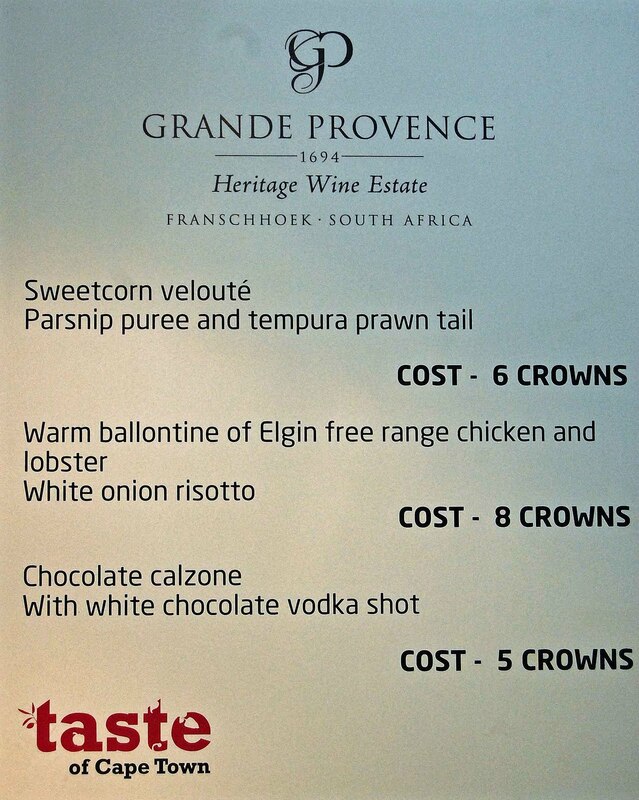 Threat to the winelands continues There is a sinister agenda in play here. We heard from a spokesman that the people behind this initiative by a Government owned mining company did not know that wine farms occupied the land they earmarked for prospecting and mining, and that the whole thing would go away. Now, that has been contradicted and it has been announced that the area to be prospected is in effect the whole Cape winelands area. No thought has been given, by the minds behind this initiative, to the fact that, not only is wine one of this country’s most successful export earners, with huge additional income from related tourism, but that it is also a very important part of our international image. It also threatens to destroy a large part of our unique and extremely valuable natural environment. We have attached a statement from Gary Jordan which tells the story better than we can. He has also joined the STOP Mining our Winelands! Facebook action group and we suggest that as many people as possible do the same. You can reach it here. A business opportunity? On our lovely meander along the coastline from the Hemel and Aarde valley last week, we reached Gordon's Bay and the Strand round about lunch time and, as the temperature had reached 40°C, none of us felt like a full hot lunch, just a sandwich or a salad and a beer. It was nearly impossible to find anything along the seafront and we ended up in Somerset Mall, thankfully with aircon, at Mugg & Bean. Why none of the seaside cafes and restaurants offer this sort of refreshing light meal is a mystery. Sea Point does in spades. Foreign foods Every now and then, one gets an opportunity to try a completely new food profile. Our Dutch friends cooked us a magnificent Rijsttafel (two days cooking) and the friends who joined us last Friday were knocked out by the different flavours and textures. 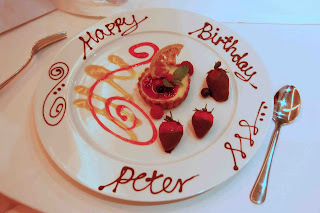 We have both had Peter's lovely food before but our friends had not had this experience and they absolutely raved about it. Indonesian food is not hot - you add your own heat with Sambal Oelek and Sambal Badjak - and they use every sort of meat and fish and many different vegetables. 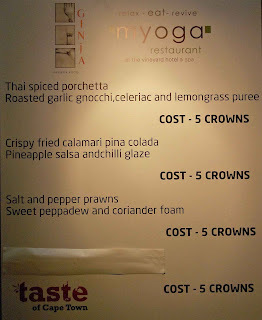 The style is somewhere between Indian, Vietnamese and Thai. We had Babi Ketjap - a pork dish in a sweet soy - beef in a coconut sauce, firm fish (Kingklip) in a tamarind sauce, prawns in a delicate lemongrass sauce, stir fried bean sprouts with ham, cucumber salad, and green beans in coconut, the obligatory delicious fried bananas, and lots of basmati rice. Twelve of us enjoyed it and there was still enough for two more meals and then some went into the freezer! 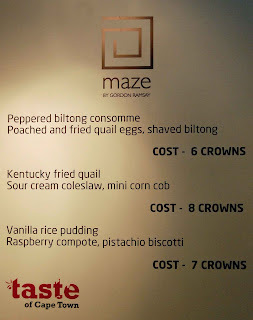 Hot degrees in summer On Monday night, for our guest Peter's birthday, we tried 1800 degrees in Green Point. He had requested steak, Carne had space but somehow found it impossible to fit in a table for 6 (?! *) and we wanted to give him a good experience. We had received mixed reports about the food, but we had an enjoyable meal. We had the best service we have ever had in Cape Town from a lovely young Zimbabwean woman named Tumi, who was charming and efficient and might be worth poaching! Without writing anything down, she presented everyone in the party with exactly what they ordered, the steaks were as requested, wine was poured as we needed it, there was plenty of tap water all evening, we were not pressured to buy more than we needed AND when dessert came, she had picked up that it was Peter's birthday and his plate had “Happy Birthday Peter” written in chocolate around the rim. Tada! Without being asked for any special treatment, she had peeked at his birthday card, noted his name and the occasion and taken action. The special 1800°F grill does seem to sear the steaks and take out some of the moisture. The sirloins’ texture indicated that they had been frozen (we had an expert with us!) but the fillets hadn't and were juicy and well flavoured. 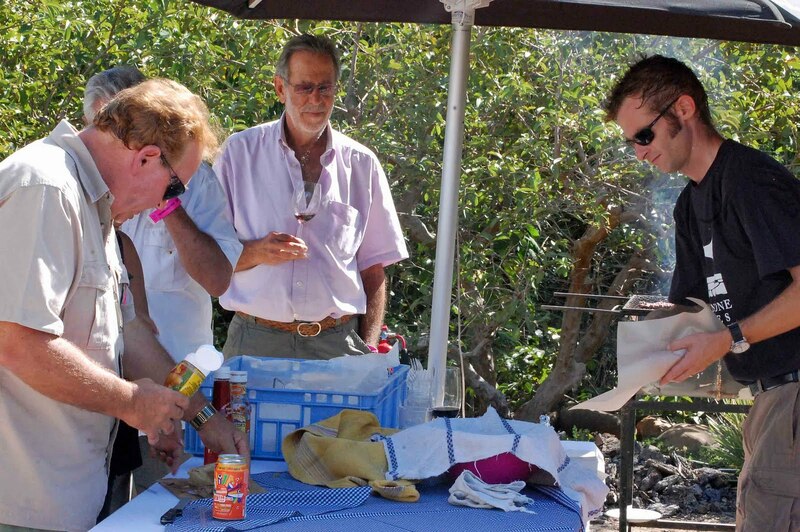 One of our party said that the meat had a particular taste that he didn’t enjoy, but others couldn't detect it. Lynne ordered salmon and asked for it very pink but it came somewhat seared and cooked through. 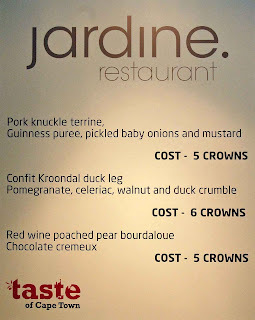 John had a pretty average duck confit leg with lightly grilled breast. Our main gripe concerned a starter of Scallops with Cauliflower Puree - an absolute classic which several of us had heard of and wanted to try. At R72 a plate, we were a tad surprised to find only two seared queen scallops each - we know they are very expensive, but we thought this was a little mean. 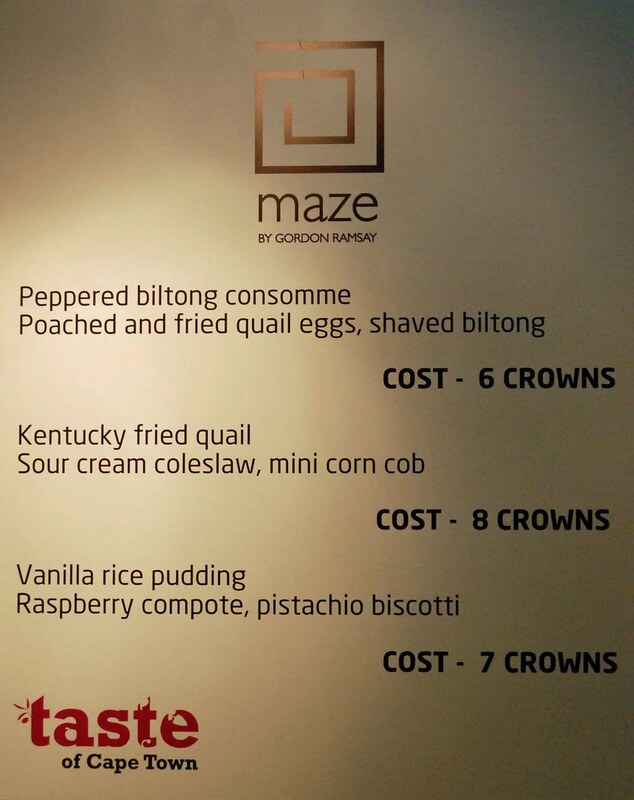 They bring you a plate with one of each dessert, so that you can choose, but this was strangely off-putting. The warm chocolate fondant was, John reported, not at all liquid inside and a bit heavy. The lemon tart not very lemony but the passion fruit cheesecake was well appreciated by Yvonne. 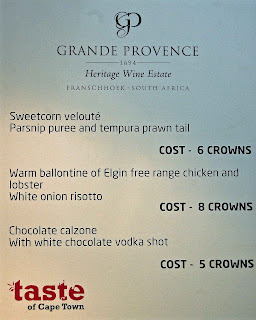 We drank Kevin Grant’s superb Ataraxia 2008 Sauvignon Blanc and competitively priced De Toren Z - although the listed 06 had run out and a very young 07 was served. They decanted it for us and it did open up very well indeed. You can sit outside at their very Parisian style boulevard tables, screened from the road by a hedge, but it was a hot evening and we were delighted to be inside with airconditioning. The hotel lobby right next door is very, very elegant, the loos have silk wallpaper and lots of marble, but the restaurant is a little more restrained in décor, and looks like many hotel restaurants. Pity they didn’t go a bit more quirky. Delheim in the cool Knorhoek Valley We were invited by Nora Sperling-Thiel to come and taste Delheim’s wines and eat in the restaurant and, as we had our Dutch guests with us, we took them along on Sunday for lunch, together with their Aunt Maureen who lives in Helderberg Village and was due for an outing. 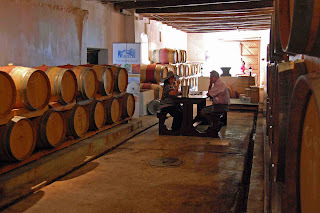 Three of us tasted through some of the wines in the cellar while Yvonne & Maureen 'caught up'. A very good expression of Sauvignon Blanc, one of few 2009's that we judge to be drinking well and doesn’t have to wait a year. Lovely fig, gooseberry and citrus notes with lots of minerality and a good mouth feel. The Chardonnay sur Lie is deep and full and a lovely food wine to accompany rich sauces. After 11 months in French barrels the wood is evident but not obtrusive. 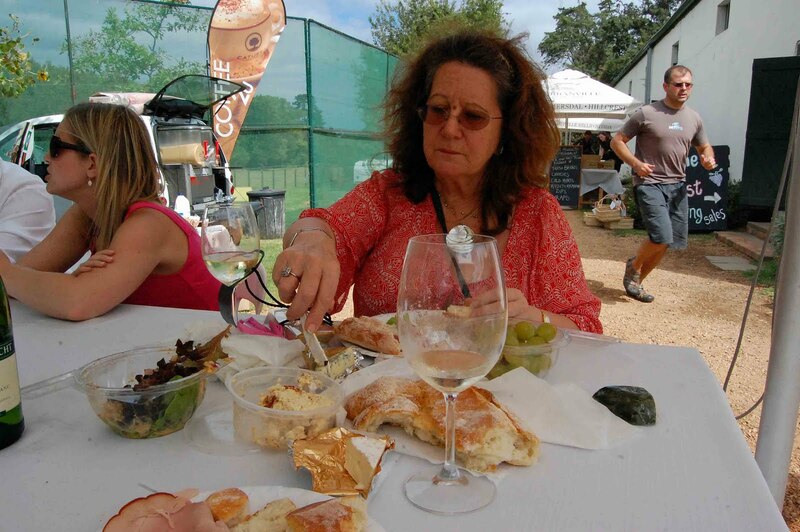 Lynne was keen to taste their Gewürztraminer which has a lovely litchi and rose petal nose on quite a light wine. After a good classic cabernet, we tasted two pinotages, of which we preferred the reserve, available only in magnums. We then moved on to the terrace for lunch and, as it was rather hot, everyone opted to skip a starter. Two of us chose lamb shanks in a rich red wine gravy with roasted beetroot and mash. Stunning, falling off the bone, but gargantuan portions. 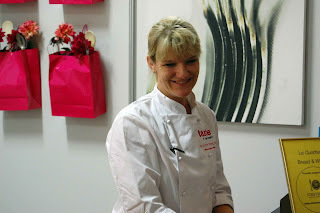 Lots went home in doggie bags but perhaps that was the heat. 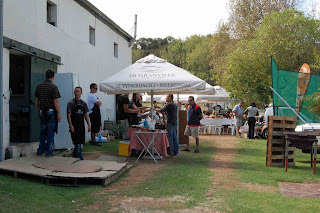 The two men had good bratwurst with kartoffelsalat (German potato salad) and a butternut and granadilla salad with very good light mustard and Yvonne had two huge snoek fishcakes with a beetroot feta and nut salad. 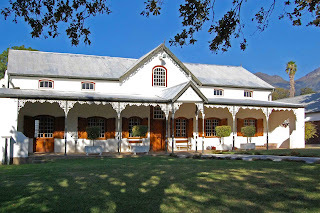 They continued to ply us with tasters of wine throughout lunch and we really enjoyed the Chenin Blanc which is on special at the farm, the Sauvignon with the bratwurst and the two spicy and rich Shirazes with the lamb shanks. Apple tart with cinnamon ice-cream, chocolate brownies with Pinotage ice-cream and coffee followed, with tastings of the farm’s excellent muscadel and noble late harvest. 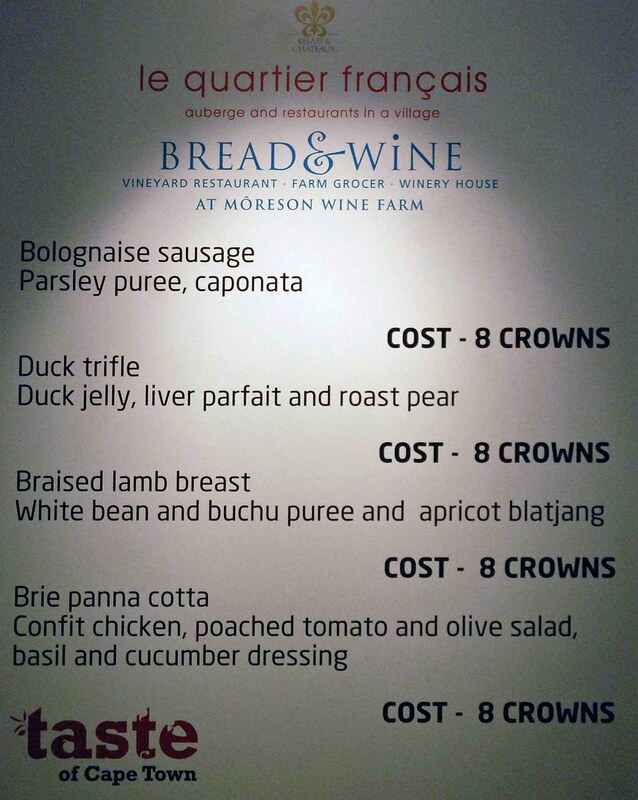 It’s a lovely, relaxed, old fashioned farm with a nice unpretentious lunch menu which has something for everyone, without trying to be haut cuisine. 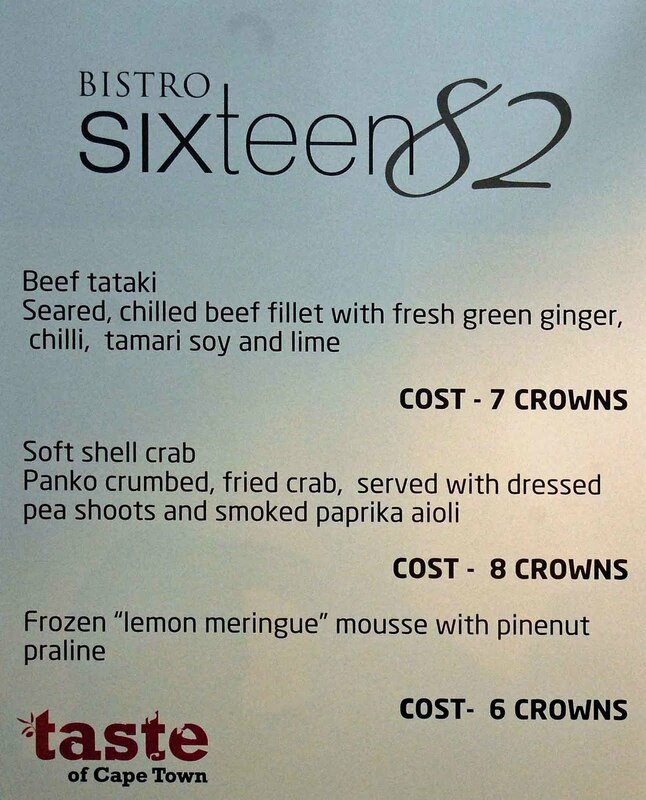 Peter's bill for three was very reasonable and it is very child friendly. And then there is Hippo the spaniel cross. And he isn't, ever, but is very good indeed at sitting up and begging and looking cute. 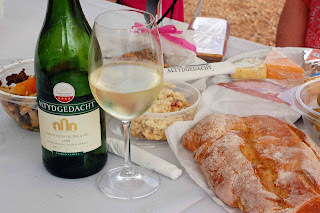 Check the blog for pictures of Delheim, Rijsttafel and Peter’s plate. Chris James of the Thai Cafe in Hout Bay continues his "Stir Fry Madness Menu" for our readers. It includes a 3 course meal for R99: any starters, any Stir Fry (Chicken, Pork or Beef) including rice and any sweet all for R99! Readers must just mention Main Ingredient or John and Lynne Ford when ordering/booking. Initial reports from readers who have been there have been enthusiastic. Computer challenges We’ve had a computer problem and our operating system had to be re-installed. Regrettably, this meant that some unread or unanswered messages were lost. If this affected you, please re-send the message, so that we can attend to it. Wine mag chenin challenge Join WINE magazine for an informative seated tasting of the top-scoring wines from 2010 Guala Closures Chenin Blanc Tasting. 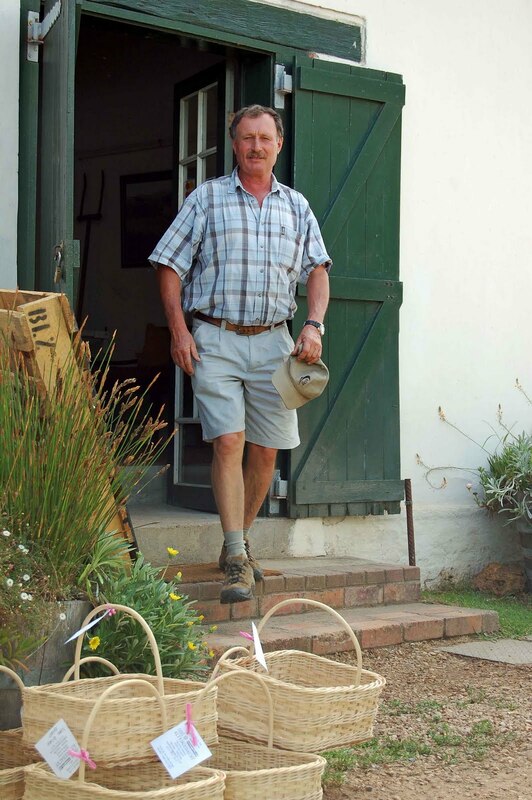 The tastings will be presented by a leading Chenin Blanc winemaker. The Cape Town tasting will be held tomorrow, 18th March, at 18h30 in the Mount Nelson Hotel, and the Johannesburg tasting on 30th March at 18h30 in the Crowne Plaza The Rosebank. Tickets cost R150 per person. 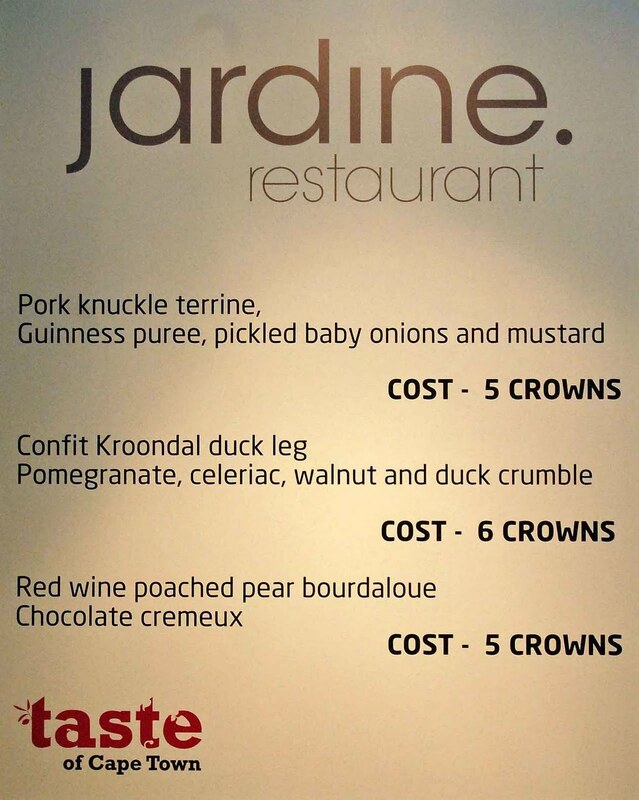 To book: call 0860 100 205 or Fax 0866 704 101. E-mail subs@ramsaymedia.co.za. To book online. CLICK HERE. For more information, please contact Jane Eedes on 021 530 3308. In the interest of fellow tasters, please refrain from wearing excessive perfume or aftershave. Durbanville Wine Valley’s Feast of the Grape takes place on Sunday 21st March. 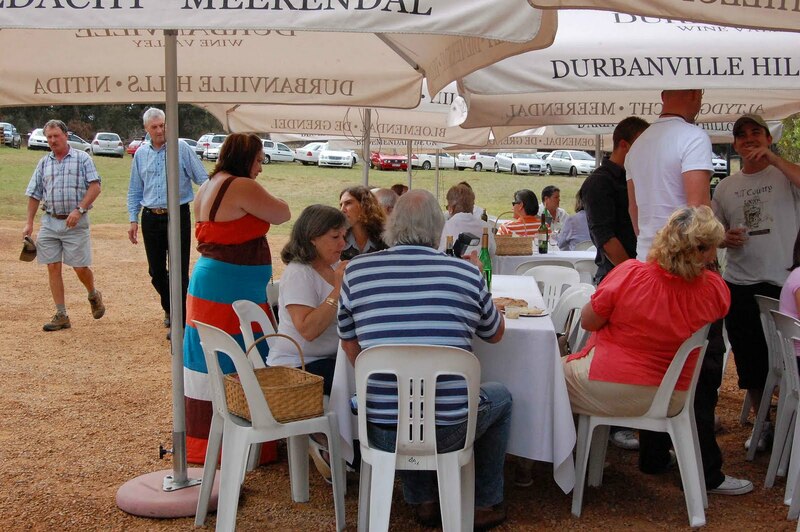 We’re looking forward to some of the special events on the various Durbanville farms. Clicking here will let you check the details. One of the best events we attended last year was the Solms Delta Oesfees (harvest festival). 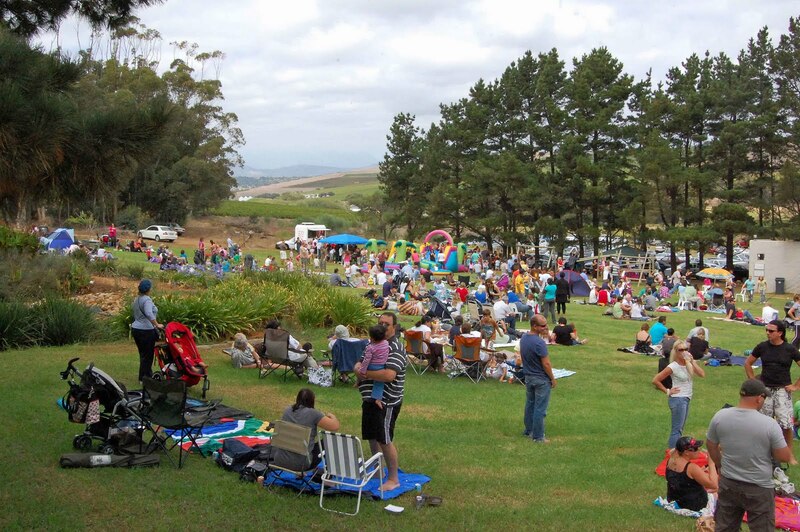 We’re looking forward to this year’s, a rousing feast of Cape music and lekker kaapsekos, which will be held at the Solms-Delta wine estate from 11am to 9pm on Saturday, 27th March, with an exciting line-up of local favourites. Click here to see the programme. 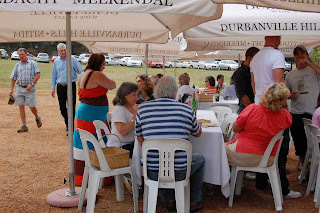 Restaurants and picnics We’ve posted the restaurant specials list on our blog. Open it here. 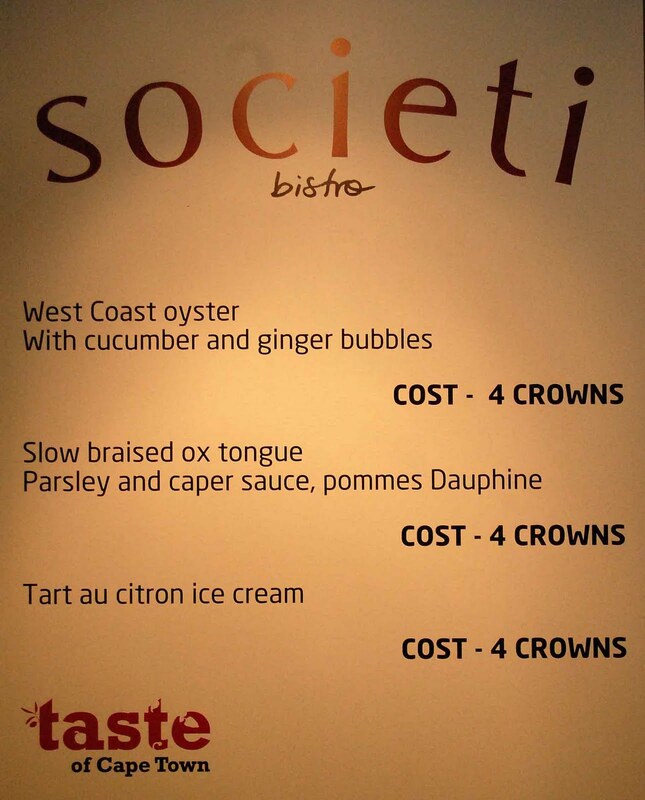 Please let us have more feedback about the restaurants in our list of specials. Your input is very valuable to all our readers. We’ve enjoyed picnics at Buitenverwachting, Allée Bleue and Warwick. 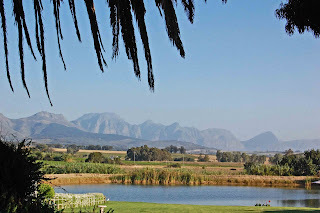 We are so lucky to live in a beautiful environment, where we can enjoy wonderful wines and food in such lovely places. 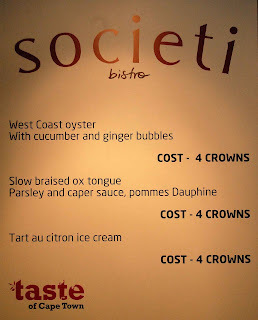 Click on the highlighted hyperlinks here and in the restaurant and other blogs linked to this to book for the events we write about or to learn more about them. Weekend market: Nelle, Susan and Jane will be on our pavement as usual this Saturday with their delicious country goodies. Come and buy fresh farm eggs, fruit and vegetables, preserves and home baked breads, cakes and pastries from them and then come and visit us! We will be tasting wines, so do come in and have a chat and a taste and buy something great to cook with this weekend and a good wine to go with it. 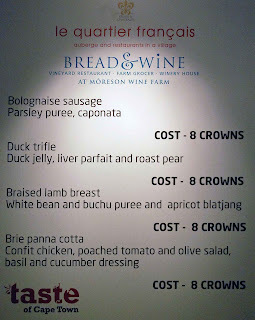 Wine and food are inseparable partners. Remember - if you can’t find something, we’ll do our best to get it for you, and, if you’re not in Cape Town, we can send it to you! 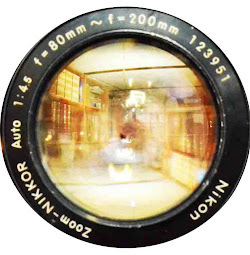 Check our product list for details and prices. 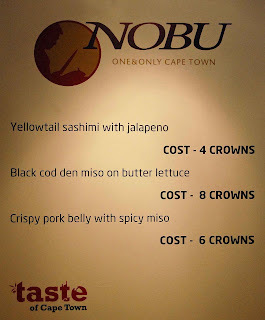 Where to go on Saturday night in Hermanus? Eat Out is full of possible restaurants, but when we asked friends who live in the area, none was enthusiastically recommended. We wanted to go to Mogg’s - we were staying opposite – but, sadly, she no longer opens in the evenings. So we picked Lemon Butta on the seafront at random, liking what the reviewer said they made: Paella, fresh fish and sea food and to Lynne's delight, a crab curry. Sadly it has zero ambience, even with its good sea view over the harbour area, and we did secure one of the best window tables - sadly no whales at the moment. Lots of very helpful Zim and possibly Moçambican staff and a Filipino sushi chef, it is still a caff with plastic tables. 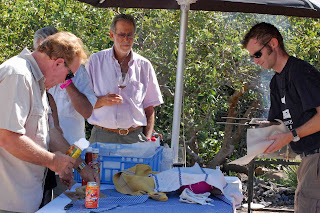 The lads had a very good starter of grilled fresh sardines, which they said were as good as sardines could be. Too much fiddle for Lynne, who hates bony fish. We have had some really bad mushy sushi recently, and we saw there were very attractive mixed plates going out, so Lynne had a Roly Poly Maki - here the rice was a bit chewy and probably made the day before and not great. 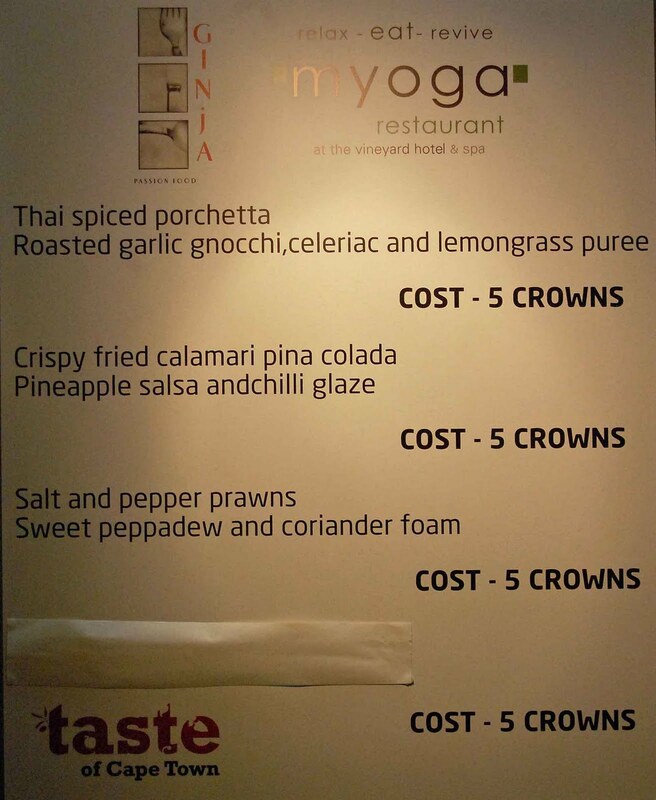 Main courses were fresh baby sole, grilled yellowtail, Thai green prawn curry and the aforementioned crab curry. An enormous plate piled high with crab legs, two pairs of crackers and one paper serviette! We asked for more. They don’t do bibs or finger bowls and Lynne had to get really involved with the curry. In fact there was very little meat in the many crab claws, most of it had been cooked into the rich red sauce. Luckily they provided a bowl of rice and basically it was crab sauce on rice, nice but not the full catastrophe, to quote Zorba. 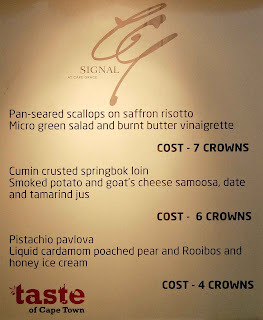 Coffee and a bill for R800 for 4 included corkage for one bottle of 2006 Cape Point Semillon (beautiful, but not helped by being served in Café de Paris goblets, and a bottle of Boschendal Chenin. Would we go back? Probably not. 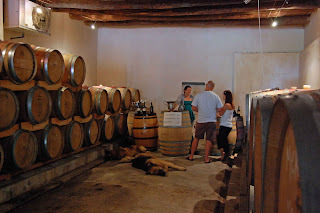 We had a flying visit to Ataraxia's vineyard and cellar on Saturday afternoon. We nearly missed our appointment because of horrible traffic on the N2. Kevin Grant has built a beautiful building, reminiscent of a Greek church, perched high on a hill, at the foot of Babylon’s Peak, and approached by possibly the most hairy road to a winery we have yet encountered. Stunning views down the valley and lots of room for art. Three wonderful wines to taste and news of Pinot Noir to come in a harvest or two. His Sauvignon Blanc is very layered and sophisticated, not too acidic - as many of the 2009's are this year. The well wooded buttery Chardonnay 2008 is showing lots of fruit and minerality, and would be perfect to sup but also would go very well with rich sauces and seafood. Then there is the 2006 Serenity, an absolutely classic Bordeaux blend rich, deep and complex this wine is drinking incredibly well and should keep for ages and improve. On Sunday, we ventured back up the valley where we had an appointment with Carolyn and JC Martin of Creation, who were incredibly welcoming and kindly gave up some of their Sunday. 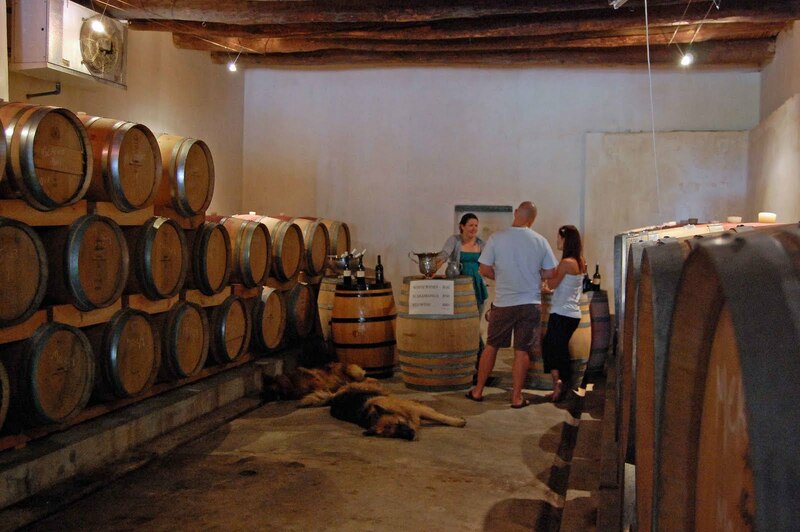 A large elegant restaurant, gallery and tasting centre sits over their wine cellar, in fact you can see the barrel cellar through thick panes of glass in the floor. Sunday was as hot as hell (40ºC) so we sat out on the terrace under huge umbrellas and tasted the wines with a platter of food matches: Chardonnay, Sauvignon blanc, Semillon, Merlot, Pinot Noir and Syrah/Grenache and Cabernet sauvignon/Merlot/Petit Verdot blends. The quality which comes out of this small, very young cellar is superb, and has been from the beginning. 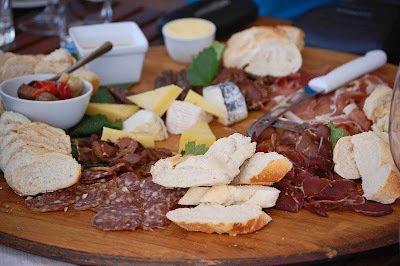 Then we were served a huge platter of excellent cold meats and cheese for lunch. 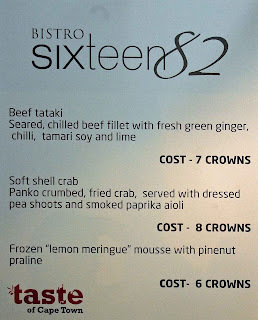 Very good value, you can check out the menu here. At about 2.30, everyone was ready to hide from the heat, so we returned to our cottage a few kilometres back along the valley and everyone flaked out. We braaied a spatchcocked chicken, basted with Prego sauce, in the evening and loved the thunder and lightning and huge downpour in the middle of the night, though we are not sure any of the wine farms would have liked it at all, as they were all just about to pick their grapes. 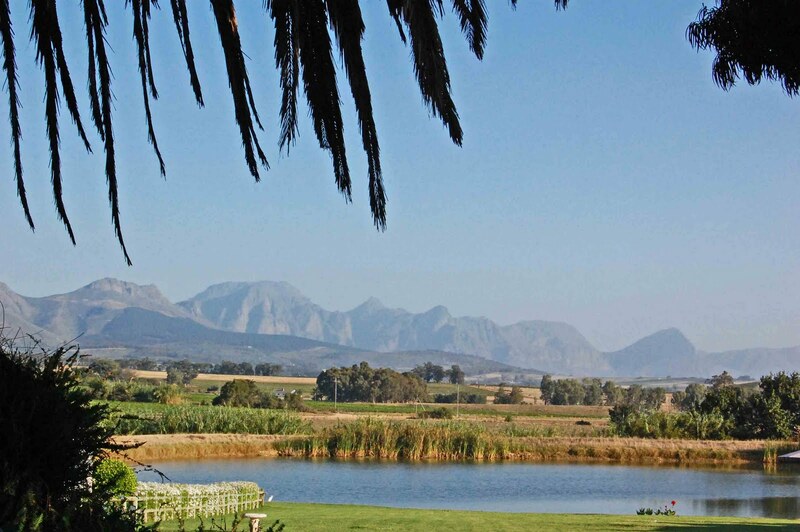 The Hemel en Aarde Valley is producing some amazing wines. Our Seven year Itch……was taken care of by a lovely anniversary meal at one of our favourite City restaurants, Bizerca, on Monday night. John had a Paté and Rillette plate, Yvonne and Peter a Fish tartare and Lynne their classic raw salmon salad, one of her favourites. The lads both had beef fillet, served on a bed of Rustic potatoes and four perfectly cooked green asparagus spears, as their main course, Yvonne managed another starter: the beetroot and goat’s cheese tart and Lynne had the duo of quail starter which is quite substantial, having half a quail and a small quail pie with some really delicious buttery pastry and a good jus. Two apple sorbets with Calvados (a perfect dessert for the heat) and a berry Panacotta followed and then some coffee. R1200 with one corkage (Cape Point Sauvignon Blanc) and one bottle of Ken Forrester Shiraz/Grenache. Service is good and well-informed, with Cyrillia, the wife of Laurent, the chef and co-owner of the restaurant, being charming and attentive. Halve the melon, discard all the seeds, scoop out all the flesh and put it into a blender with the sugar, the lime juice and a tiny pinch of salt. Make a puree, then put into a freeze-proof container and leave in your freezer for 2 to 3 hours. Whisk to break up the ice crystals. Whisk the egg white till stiff, fold into the half-frozen melon mixture and return to the freezer till firm. 20 minutes before you serve, put it into the fridge to soften. Scoop into the empty melon shells and serve. Decorate the dish with edible flowers and leaves. Threat to the winelands Last week, we included a statement about the threat to mine on several well-known wine farms, which poses, in addition a huge threat to the environment and the economy of the Western Cape and of South Africa as a whole. There has been comprehensive reporting of this in the media, but the threat is still there. We cannot attach the form for registering as an interested and affected party this week because of a computer problem. Please complete it from last week’s MENU and send it if you have not already done so. 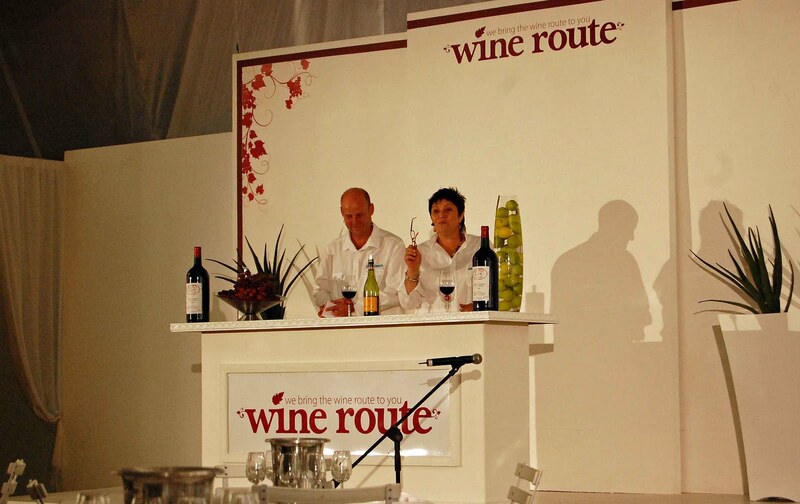 Nelspruit and White River wine lovers can enjoy the Mpumalanga Wine Show, at Ingwenyama Conference and Sport Resort from 12th to 14th March, presented by wine authority Michael Fridjhon and the WineX team. R100 per session, includes tasting glass. Wine mag chenin challenge Join WINE magazine for an informative seated tasting of the top-scoring wines from 2010 Guala Closures Chenin Blanc Tasting. The tastings will be presented by a leading Chenin Blanc winemaker. 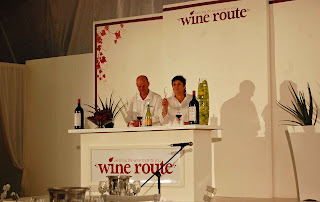 The Cape Town tasting will be held on 18th March 2010 at 18h30 in the Mount Nelson Hotel, and the Johannesburg tasting on 30th March at 18h30 in the Crowne Plaza The Rosebank. Tickets cost R150 per person. To book: call 0860 100 205 or Fax 0866 704 101. E-mail subs@ramsaymedia.co.za. To book online. CLICK HERE. 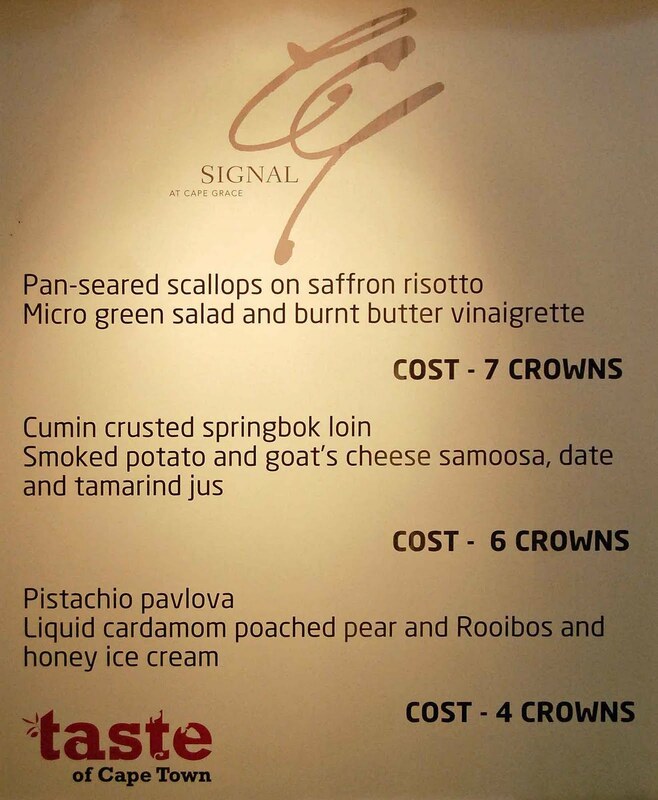 For more information, please contact Jane Eedes on 021 530 3308. In the interest of fellow tasters, please refrain from wearing excessive perfume or aftershave. 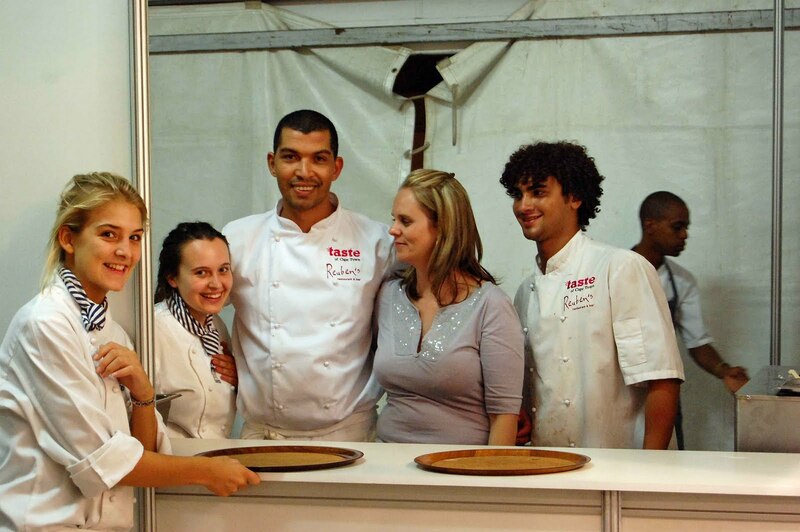 The Wellington harvest festival will take place on Wellington’s farms on 20th & 21st March. A date which you should diarise now is the Taste of Cape Town 2010 from 24th to 28th March in the grounds of Rhodes High School, Mowbray. Follow signs from Liesbeek Parkway and Durban Road.